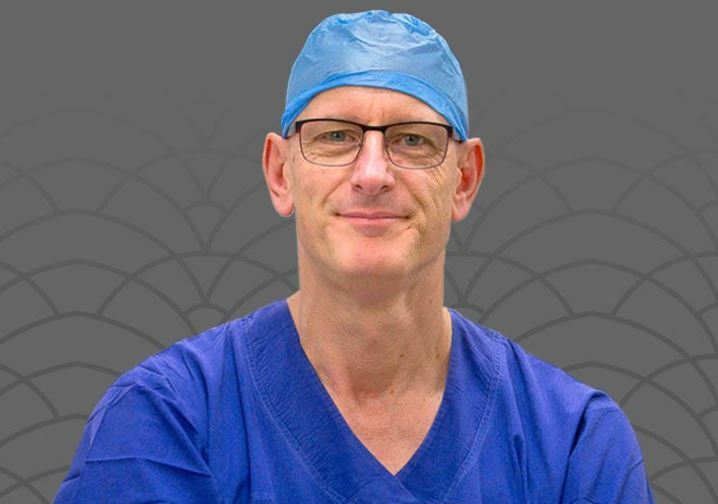 Professor Andreas Obermair is a Brisbane-based gynaecological oncologist and co-founder of the Cherish Women's Cancer Foundation, which raises funds for gynaecological cancers. He is this week’s Changemaker. 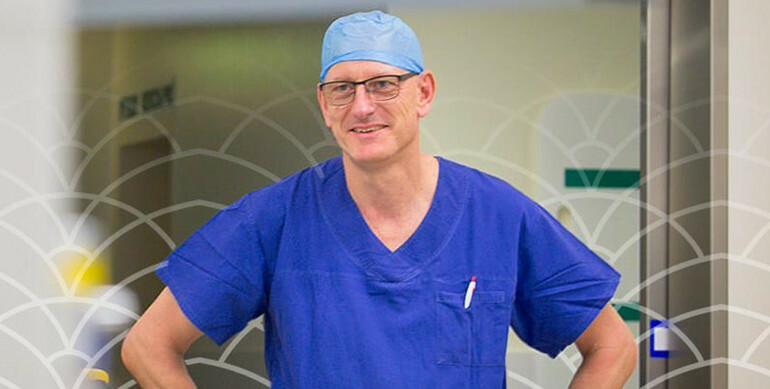 Professor Andreas Obermair is a Brisbane-based gynaecological oncologist and co-founder of the Cherish Women’s Cancer Foundation, which raises funds for gynaecological cancers. He is this week’s Changemaker. Obermair grew up in Austria, and since moving to Australia in 1999, he has become one of the country’s leading gynaecological cancer specialists. In January 2012, he founded the Cherish Women’s Cancer Foundation, which generates funding for research and clinical trials so that they can “find kinder ways to treat women with gynaecological cancer”. Recently, the Brisbane charity launched a new smartphone app, CA-125, which allows women diagnosed with ovarian cancer to self-monitor their treatment and results. Away from his charity work, Obermair operates his own private practice as a gynaecological oncologist and is a part-time staff specialist at the Royal Brisbane and Women’s Hospital in Brisbane. He also is a full professor at the University of Queensland and leads the Queensland Centre for Gynaecological Cancer Research. In this week’s Changemaker, he talks about founding the Cherish foundation, discusses the purpose of their new smartphone app, and explains how he finds time for himself in the midst of his busy schedule. My schooling was in Austria, where the school system is a little bit different. Primary school is for four years and then we have middle school and high school. But not so many people actually finish high school. I did 13 years of school, and then I had to choose between civil service and military service… I choose civil service. And then I went to university and went to med school. I came to Australia in 1999 when I was about 36 years old. I did a lot of research back in Austria, and in Europe research is far more important than here in Australia, so initially the idea was that by doing research you secure a training position and secure a job. But I was very hooked up on research so I published a lot more than I had to, because I was really attracted to it. What I liked about it was that you could obtain so much information that is relevant about how we can best treat a patient. Initially I did a lot of research into breast cancer and I also did a lot of research into tumour angiogenesis, which is the science of the inflammation of new blood vessels. I felt I was strong in research but not so strong in my clinical work, and so I looked for a clinical fellowship where I could further develop my clinical skills like decision-making and operating. 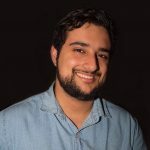 And I did my research on the Australian landscape and found this place in Brisbane that seemed amazing, and so I flew up to apply for a training job and I got it. I did that job for a year and it was amazing. We did operations in Brisbane that I haven’t seen or heard of in Austria. I was naturally enthusiastic about this and I was already married and had two kids, so I asked my wife if there’s a chance we could extend our stay and she agreed that we move to Perth. I did two years in Brisbane in 2000 and 2001, and we moved to Perth for a third year where I did a lot of training for keyhole surgery, which helped me further down the track immensely. What attracted you to gynaecological oncology? I went into gynaecology because I thought it was so varied. There’s so many areas in which you can make a big difference. And because of my research, I really became interested in gynaecological oncology, because there are a lot of unanswered questions and mysteries there. I also have had a lot of people in my family die of cancer, and so that’s a bit of a personal background to this whole thing and why I’m interested in uncovering the secrets around cancer. What made you want to found the Cherish Women’s Cancer Foundation and what kind of work does the charity do? In Australia, getting funding for any medical research is really difficult. We have done research previously that was internationally acclaimed at university level, but we couldn’t get funding for it. When this happened, I thought there was something majorly wrong in this country. If you do research that is internationally supported and you can’t get funding, then you have a problem. So I felt a need to raise funds actively, other than from the government. As a research centre we couldn’t do that because we’re a part of a university which can’t raise funds. So we set up the Cherish Woman’s Cancer Foundation to raise funds that would then financially support the research that we wanted to do. Can you tell me about the CA-125 app you have just developed? The app records and presents data on tumour marker readings to patients. So once patients download the app, they are able to enter tumour marker readings and also their treatments into the app, and on the dashboard they can see and self-track the tumour marker readings. Patients are very competitive about tumour markers and so when they come and see me for follow up treatment, the first question they ask me is “what is my tumour marker?” and then they write it down on a piece of paper and hope they don’t lose it. But now with the new app, they can record it there and have it for their own records. The idea is that the app gives them a sense of autonomy and a sense of awareness and participation in the process. What are some of the short-term and long-term goals of your charity? We have a number of goals with the app. First of all, the funds we raise from the app will go towards further research that Cherish does. Secondly, all our patients who record tumour marker readings give us permission to use these readings for research. So the app will generate more research out of that. Our long-term vision is to set up Cherish as a sustainable charitable organisation that raises funds continuously, so that we secure greater research in this country. We have enormous opportunities in Australia, for example we are the [research] leaders worldwide in gynaecological cancers. We are not leaders in other areas, like ovarian cancer, because we’re too small. But in uterine cancer research we are international leaders in the field, and that is because we have a very well established system of gynaecological cancers and especially with referral pathways for uterine cancer. So all uterine cancers in this country are seen by a few people who have very special skills to treat these women. So we are able to channel these women into research programs and further our knowledge in this area. Can you take me through a typical day for you? A normal day for me doesn’t really exist because I do everything differently depending on the day of the week. But for example on a Wednesday morning, I normally have time for meetings where I do Cherish work and research work. In the afternoon I usually see patients, and on a Thursdays I usually operate. My operating day starts normally at 7:30 in the morning and this week I finished at 6 o’clock, which is an early finish for me because I usually finish later than that. On Friday I am going to do an outreach service on the Sunshine Coast, not so much for a holiday, but for a clinic early in the morning and then I have an operating list in the afternoon. On the weekend I catch up with paperwork, and catch up with a little more research and a little more Cherish work. I do Pilates twice a week. Every Saturday morning at 7 o’clock I have an hour of Pilates, and on Monday nights I also do Pilates. I also go for walks with my wife, for around half an hour, just to have a bit of time for ourselves. I say “nothing comes from nothing”. My grandfather said that to me, and I think it’s so true. I certainly don’t take credit for the saying, but it basically has been with me since childhood. I say it to the kids, that you have to put something in to get something out of it. If you put something in, it’s not guaranteed that you always get something out of it. But it is true, that nothing comes from nothing.